It should be noted that the third evaluation has already been defined (ie is not linked to debt packages) for June, which will be based on the conditions that expire by March 2019. What is most important is that there is no accident in the political decision to be made in the Eurogroup on March 11. The basic front is Katseli team One: A political goal on the Greek side is the final decisions made next week. 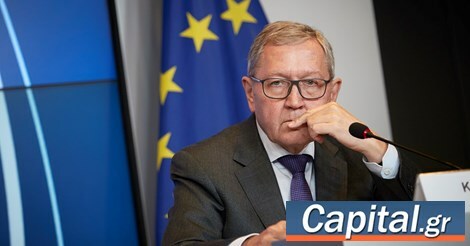 Yesterday, ESM manager Claus Regling said that "the profit yield – amount is not Negligible, together, is nearly EUR 1 billion this year – will be based on the results of the second enhanced monitoring report to be presented to the next Eurogroup. " He added that "the Eurogroup will see the report and it will decide." It is obvious that there are open problems at the moment, but Greece has a few weeks to work before the report is finished, we are in contact with the Greek authorities, the open questions have been identified and the authorities are working very hard, but I can not tell you today what will happen in the next Eurogroup. "